Spring has sprung (at least in some parts of the world) and that means it’s time to peek out of my hidey hole and get back to the markets! The first big show of the season is this weekend – Portobello West. 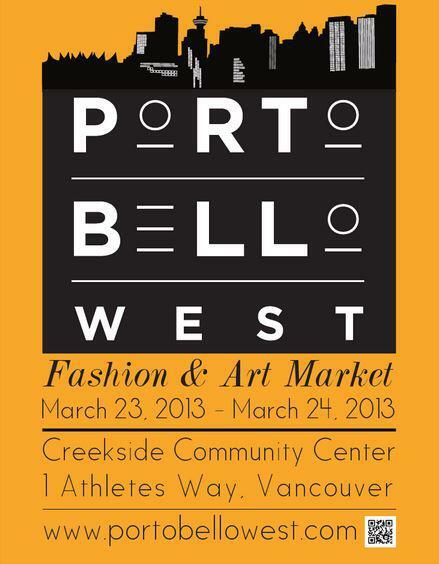 I’ve been a vendor at Portobello West for several years now. It started off in the Rocky Mountaineer train station, a gorgeous space, and prided itself in being one of the first (maybe the first?) handmade market spotlighting local up & coming fashion designers. I remember my very first market there and being absolutely terrified of paying such a high rate for a table fee. 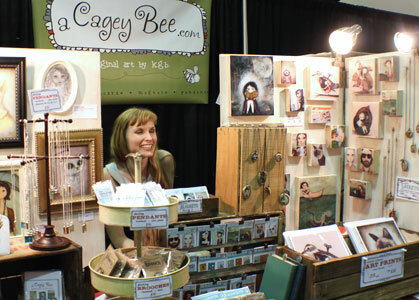 When I first started selling my work in person, the markets I did were quite small with table rentals costing under $50. Portobello West was a big jump for me, but like many risks in life, it paid off. I’ve met so many lovely customers through this market. I’m so grateful I took the leap & went BIG! Portobello has gone through some growing pains of its own. The Rocky Mountaineer venue is no longer available for on-going rentals, so they made a move over to False Creek in 2011 – into the newly built Creekside Community Centre, part of Athlete’s Village. Though the space is quite bright and airy, set right along the seawall, the first year in the new location was a bit challenging. As most Vancouverites know, Athlete’s Village was pretty much a ghost town for the first year or so. It took much longer than anticipated to finish the condos, then to sell the condos & rent out the apartments & store fronts. Happily, there is now LIFE in that neighborhood! There’s a restaurant with a fabulous patio overlooking the water right in the Creekside building. The community centre is always bustling with people exercising or renting kayaks to take out in False Creek. There’s a bank, grocery store and one of my favorite wine shops – Legacy Liquor Store (seriously…these guys have *everything*). I’m sure the early renters and owners are thrilled to see their neighborhood filling up with families and friends. I’d like to send out a huge thank you to all of the wonderful patrons who have supported Portobello West throughout the years. I will be there this Saturday & Sunday, March 23rd & 24th. Hope to see you there! Have you ever experienced growing pains in your life or your business? I’d love to hear your thoughts in the comment section below!